If you’re just starting the college application process, or if you’re an adult thinking about going back to school to earn a degree, you’re likely facing some sticker shock. Application fees, tuition, books, supplies, and room and board all add up to make college prohibitively expensive. College is now so expensive that 62% of high school seniors don’t attend their first-choice school once they’ve been accepted, primarily due to the cost, according to NPR. Whether you want to attend a technical college, community college, public university, or private college, there is financial aid available if you know where to look for it. Here’s what you need to know. The College Board publishes an annual report on the average cost of college for students. Their 2017 report found that students attending an in-state, public, four-year university paid an average of $9,970 per year. With room and board, the cost doubled to $20,770. Students attending a private, nonprofit, four-year university paid an average of $35,260 per year. These numbers are staggering, and they continue to climb each year. The College Board found that in 2018, tuition prices rose 3.2% more than inflation. If costs continue to increase at this rate, Vanguard estimates, by 2036, one year of public college will cost $54,070, and one year of private college will cost $121,078. In addition to becoming more expensive, college is also becoming a necessity. The U.S. Department of Education estimates that by 2020, two-thirds of job openings will require post-secondary education or training. State funding cuts are an oft-cited reason for tuition hikes. However, The New York Times reports that state funding is currently about $81 billion, down slightly from a record, inflation-adjusted high of $86.6 billion in 2009. These numbers don’t include funding for the Pell Grant program, which currently stands at $34.3 billion, up from $10 billion in 2000. If state funding, or a lack thereof, doesn’t account for continuing costs, what does? One reason might be the ballooning size of university administration. According to Forbes, tenured, salaried faculty positions have been stagnant over the past two decades. While enrollment has increased, the faculty gap has been filled by part-time faculty, who are paid less and typically don’t receive benefits. The New York Times reports that in 1970, 78% of college professors were full-time. Today, half of post-secondary faculty are in lower-paid, part-time positions. The money this saves certainly isn’t being passed on to the people teaching students; full-time professors today earn nearly the same as they did in 1970. The bulk of any extra savings now goes to “administrative overhead,” or senior university management positions. Data cited by The New York Times shows that the number of administrative positions at colleges and universities grew by 60% between 1993 and 2009, 10 times the growth of tenured faculty positions. Another potential explanation is that it takes many students more than four years to graduate with a degree. A report by The Campaign for College Opportunity found that half of all bachelor’s degree students take 4.7 years to earn their degrees, while the majority of associate degree students need four years to earn a two-year degree. That’s because some students must take remedial math and science classes they should have mastered for free in high school, while others don’t take the necessary number of classes each semester to graduate in four years. This increased time in school ends up costing students and their families a lot. TIME reports that most state financial aid programs only fund four years of school. If students need additional time, they’re on their own to pay for it. 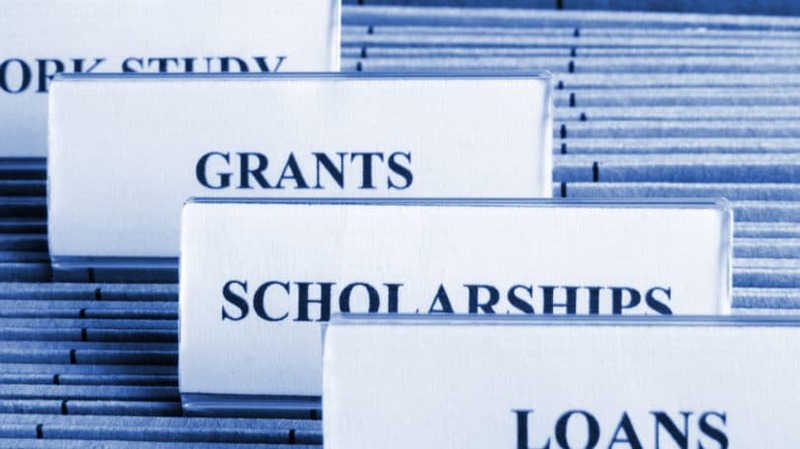 Grants, Scholarships & Loans: What’s the Difference? With costs continuing to rise each year, the majority of students need some kind of financial assistance to help pay for college. It can come in the form of a grant, a scholarship, or a loan — or a combination of all three. Grants are monetary gifts to students based on financial need and do not have to be repaid. In their 2017 report, The College Board found that more than 70% of students received grants to help them pay for college. The average student attending a four-year, in-state public university received $5,830 per year in grants. Grants can come from the Federal Government, as does the Pell Grant, or from state or local governments. Like grants, scholarships are a gift and do not need to be repaid. 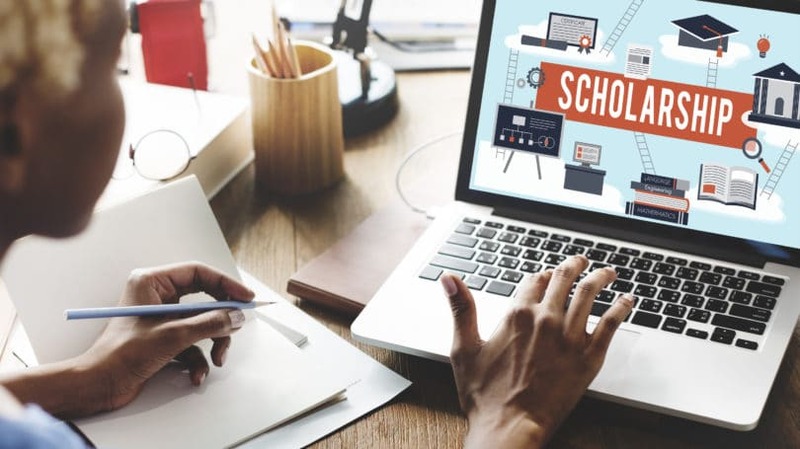 However, scholarships differ in that they’re awarded based on merit, which means you must meet certain standards chosen by the scholarship giver. There are a plethora of scholarships out there in a wide variety of categories. Some scholarships are awarded based on academic achievement or athletic performance. Others are awarded based on a specific talent or interest. For example, you might receive a scholarship if you’re interested in chess or plan to major in a specific field, such as engineering or nursing. 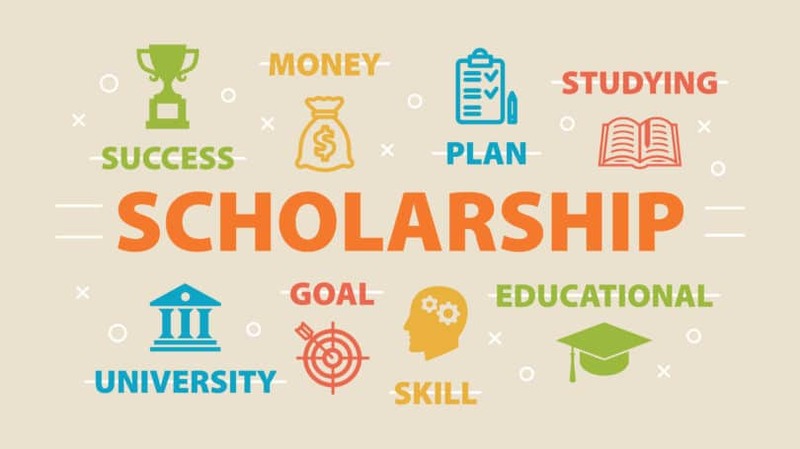 Scholarships are also awarded to specific groups, such as women, minorities, military families, or people with physical or intellectual disabilities. Some private businesses set up scholarships for their employees’ children. Scholarships can vary widely in scope. You might win a scholarship for several hundred dollars or one that completely covers the cost of your tuition. Scholarships can come from a college or university, a nonprofit, a private company, a philanthropic family or individual, or a private foundation. You can also win a scholarship from your state, which is often funded by lottery sales. A student loan is exactly what it sounds like: a loan you receive to help pay for school. As with a mortgage or car loan, you’re charged an interest rate and must make monthly payments until the loan is paid off. There are two primary types of student loans: federal and private. Federal student loans are funded by the Federal Government. Federal loans are much less expensive than private loans because they have a fixed interest rate depending on your level of education. For example, the interest rate for undergraduate federal loans dispersed after July 1, 2018 and before July 1, 2019 is 5.05%. Graduate students can expect to pay 6.6% to 7.6%, depending on the type of federal loan they apply for. However, the Consumer Financial Protection Bureau states that in some cases, the Federal Government will subsidize your interest rate while you’re in school. Also, the interest you pay once you’re out of school may be tax-deductible. Students who receive a federal loan don’t have to start making payments until they graduate, leave school, or transition to part-time status. Upon graduation or status change, monthly payments are calculated based on income. If you start having trouble making your monthly payments, you can also defer payments until you get back on your feet. Another benefit of federal student loans is that if you choose to go into the public service sector, you might be eligible for loan forgiveness after 10 years. Private student loans are funded by private institutions, such as banks and state loan programs. Applying for a private student loan should be your very last resort because they’re much more expensive than federal loans. Their interest rate is typically much higher; according to the U.S. Department of Education, some private loans have an interest rate of 18% or more. You also need a good credit history to be approved for a private student loan. Private loans have fixed monthly payments, which means you pay the same amount each month no matter how much you’re earning. You typically have to make loan repayments while you’re still in school, and interest rate payments are not tax-deductible. Most private loans don’t allow deferment, so you’ll still be required to make monthly payments even if you’re struggling financially. There are tens of thousands of scholarships and grants available to students, and they award billions of dollars annually. The following are some of the biggest grants you can apply for to help pay for school. Federal Pell Grants are awarded to students with a high level of need who have not yet earned a bachelor’s or graduate degree. The amount of aid you receive through a Pell Grant is based on a number of factors, the most important being your expected family contribution (EFC), which is calculated by tallying up your parents’ income, assets, and benefits, such as unemployment or other sources of income. The maximum Pell Grant award amount changes each year. For the 2018 to 2019 school year, the maximum award amount is $6,095. Also, you can only receive a Pell Grant for 12 semesters over your lifetime. To apply for a Pell Grant, fill out a Free Application for Federal Student Aid (FAFSA). You’ll need to fill this form out every year you’re in school to continue qualifying for aid. If you’re not ready to submit a FAFSA, you can use FAFSA4caster to calculate your eligibility for federal student aid. You’ll need to answer questions about your income and assets, any state or local aid you’ve received or hope to receive, and your chosen school’s cost of attendance. The FAFSA4caster is a useful planning tool, especially if you’re a sophomore or junior just starting the college planning process. Tip: Make sure you’re on the official Federal Student Aid website, which ends in “.gov,” when you submit your FAFSA. Some disreputable companies have set up look-alike websites that charge you money to submit a FAFSA or charge up to $1,000 to help you apply for aid and find scholarships. There is no cost to submit a FAFSA application. You can find a list of potential scams and how to avoid them on Federal Student Aid. The FSEOG is awarded to students who have exceptional financial need who have not yet earned a bachelor’s or graduate degree. You can use the FSEOG with a Pell Grant to help pay for school, and Pell Grant recipients get priority for this grant, which can be up to $4,000 per year. The FSEOG program is unique in that it pays your school directly each year, and once funds are depleted, no more grants are awarded; that’s why you need to apply early. However, not all schools participate in the FSEOG program, so check your top schools to see if they participate. To apply, fill out a FAFSA. The TEACH grant is for undergraduate, postbaccalaureate, or graduate students studying in a TEACH-eligible program to be elementary or secondary school teachers. In order to receive this grant, you must agree to teach for four years after graduation in a high-need field at a school or educational service agency that serves low-income students. You also must maintain a 3.25 GPA or score above the 75th percentile on one or more portions of a college admissions test. The TEACH grant is up to $3,736 per year. To apply, fill out a FAFSA. Tip: If you don’t comply with this grant’s service requirement — teaching low-income students for four years — your grant will be converted to a Direct Subsidized Loan that will have to be repaid. The Federal Work-Study program provides part-time jobs to students with financial need to help them pay for college. The work is typically in community service or directly related to your field of study. You can work on campus for your school, at a nonprofit, or, in some cases, for a private for-profit company. How much you earn depends on when you apply, your level of financial need, and the funding available through your school. You’ll earn at least the federal minimum wage. To apply, check with your school’s financial aid office to see if they participate. Almost every state has at least one grant available for residents, and most have many. However, every state is different; some have well-funded grant programs, while others are struggling financially. One of the best ways to find the grants available in your state is through the National Association of Student Financial Aid Administrators (NASFAA). You can also find state grants through the U.S. Department of Education. State grants are most often awarded to residents attending in-state colleges, but this isn’t always the case. Depending on where you live, you might be eligible for state and regional tuition discounts through a tuition exchange program. Students in Illinois, Indiana, Kansas, Michigan, Minnesota, Missouri, Nebraska, North Dakota, and Wisconsin may be eligible for reduced tuition at certain public and private colleges and universities through the Midwest Student Exchange Program. Students in Alabama, Arkansas, Delaware, Florida, Georgia, Kentucky, Louisiana, Maryland, Mississippi, Oklahoma, South Carolina, Tennessee, Texas, Virginia, and West Virginia can receive tuition discounts for over 1,900 academic programs through the Academic Common Market. Most states participate in some form of tuition exchange or reciprocity program. You can see which programs are available in your state through NASFAA. The bulk of scholarship money is awarded by colleges and universities. 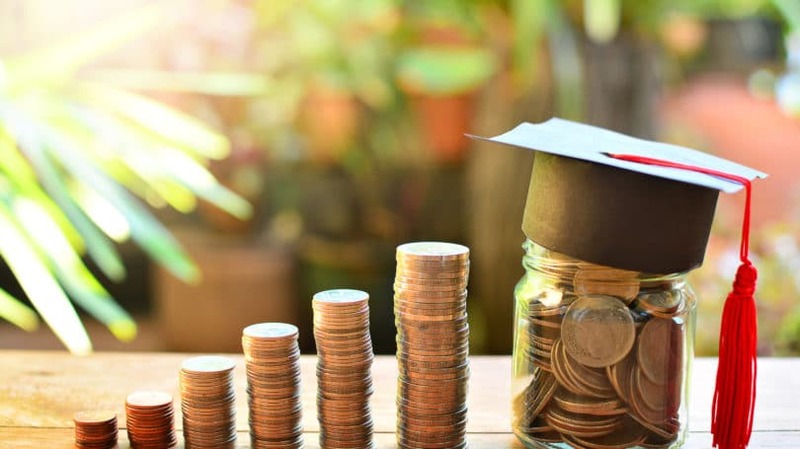 However, according to research cited by U.S. News & World Report, an estimated $6 billion is awarded annually to students through private scholarships. So, how can you find this scholarship money? One of the best ways to find scholarships is to make an appointment with your high school guidance counselor or visit your college’s financial aid office. 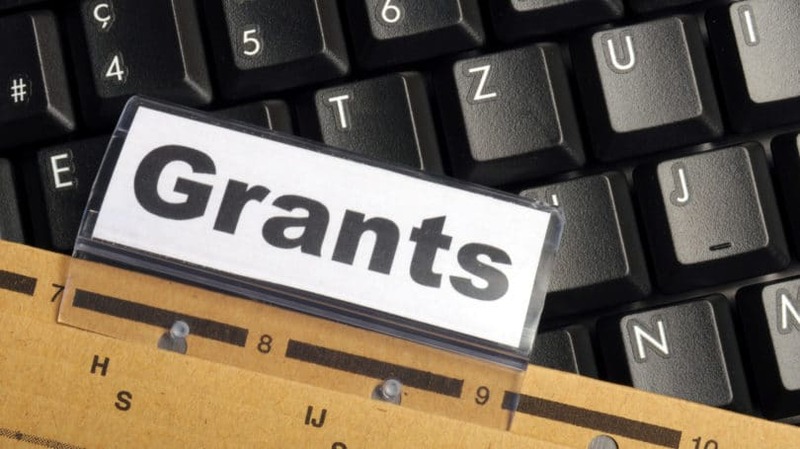 These professionals know grants and scholarships inside and out, and they also know about local scholarships and grants that might not be listed on larger online databases. These they typically have less competition than national scholarships. Guidance counselors and college financial aid offices are often the first to be notified when new scholarships and grants become available. They can also help guide you through the application process, proofread any required essays, and help you avoid disqualification by making sure you submit every piece of required information. The U.S. Department of Labor has a free scholarship search tool that lists more than 7,500 scholarships, grants, and other financial awards. Another great place to find scholarships and grant opportunities is CollegeScholarships.org. This site allows you to search awards available in specific categories, such as student type or athletic awards. It’s also very comprehensive, listing over 23,000 available scholarships and grants. You can also check out books, such as “The Ultimate Scholarship Book 2019” by Gen and Kelly Tanabe, which lists 1.5 million scholarships and grants. If you don’t want to buy a book, it might be available in your local library’s reference section. If you’re an adult who wants to go back to school and you work for a mid- to large-sized company, there’s a chance your employer offers tuition reimbursement. Talk to your company’s Human Resources department to learn if such a program is available and if you’re eligible for it. Be sure to find out the details up front. For example, what courses are eligible? 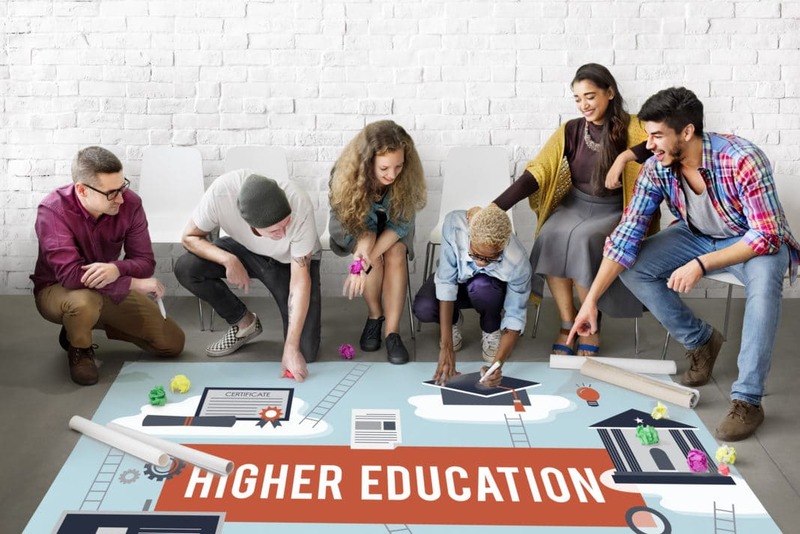 Some companies only offer tuition reimbursement for classes or programs directly related to an employee’s current role, while others have no limitations on eligible courses. Also, find out how your company provides reimbursement — do they pay up front, or will you have to pay first and then get reimbursed? If your son or daughter is heading off to school, ask your HR department if they offer any employer-sponsored scholarships for children of employees. Another way to find scholarships is to talk to organizations in your community. For example, your church might offer scholarships for members, either through the local branch or the larger organization. Talk to your church leaders to find out. Next, check with community organizations such as Kiwanis, Rotary, and Elks Club to see if they offer any scholarships. Last, find out if your community participates in Dollars for Scholars. Dollars for Scholars is a nonprofit charity that organizes a nationwide coalition of local, community-based scholarship organizations. Most of these scholarships are awarded by companies to their employees or their employees’ children, but some are open to the general public. Want to increase the odds that you’ll win a scholarship or grant? Follow these tips. It takes a long time to search for grants and scholarships, find opportunities you qualify for, and complete the application process. It isn’t something you can bang out in an hour or two. Treat your scholarship search like a job and schedule time weekly to search for opportunities and work on your applications. Don’t wait for your senior year to apply for scholarships. Many programs allow you to apply your junior year or earlier, as long as you keep your application updated as you move through high school. Most scholarships and grants have application deadlines. For example, you can submit your FAFSA application for the 2018 to 2019 school year between October 1, 2017, and June 30, 2019. Grants and scholarships offered through schools have early deadlines, typically in February or March. Pay careful attention to the submission deadlines for every grant and scholarship you apply for; if you miss the deadline, you’re out of luck. Generally, high school seniors should start applying for grants and scholarships in early fall. When you apply for grants and scholarships, you’ll get email updates, and lots of them. To stay organized — and save your sanity — create an email account just for the application process. This will help you keep all important information in one place and make it easier to find what you need when you need it. Some scholarships require applicants to submit an essay or create a video along with their applications. Many students avoid these scholarships because they don’t want to put in the work. According to TIME, scholarships that ask for essays over 1,000 words often have fewer than 500 applicants. That means that you have a greater chance of winning if you’re willing to do the work. Make sure you read and re-read all of the instructions when applying for grants and scholarships. If you miss a step, don’t include a piece of information, or provide too much information, you can be disqualified. That’s also true when it comes to scholarship essays. If the instructions ask you to list three accomplishments and you list five, you’ll likely be disqualified. If the instructions ask for 1,000 words and your essay is 1,500, you’ll likely be disqualified. Always follow the instructions to the letter. When you’ve finished, ask your parents, friends, teachers, and coaches to proofread your essay and give you feedback. The more people who proofread your essay, the better it will be. Many students automatically gravitate towards scholarships with large award packages. However, the larger the scholarship, the more competition for it. That’s why it’s smart to focus on smaller, community-oriented scholarships first. Their applicant pool is limited, so you have a greater chance of winning. There are plenty of free tools and resources to help you find aid for school. Any company or organization that charges a fee to help you find scholarships or grants is likely a scam, so steer clear. Paying for college is a challenge for most students. Even with the help of scholarships and grants, higher education is expensive, and costs continue to rise each year. However, there is plenty of money available to help reduce this financial burden and, surprisingly, not all of it gets used. According to research cited by U.S. News & World Report, $2.3 billion in federal grant money went unclaimed in 2017 because students didn’t apply for it. Families with younger children should start saving as early as possible, ideally by using a 529 plan. Every dollar you put into a 529 helps. You can even ask family members to contribute to your child’s 529 instead of buying toys and other gifts throughout the year. How are you preparing to pay for college, either for yourself or your family? Heather Levin is a writer with over 15 years experience covering personal finance, natural health, parenting, and green living. She lives in the mountains of Western North Carolina with her husband and two young sons, where they're often wandering on frequent picnics to find feathers and wildflowers.